About the mimosa road ! 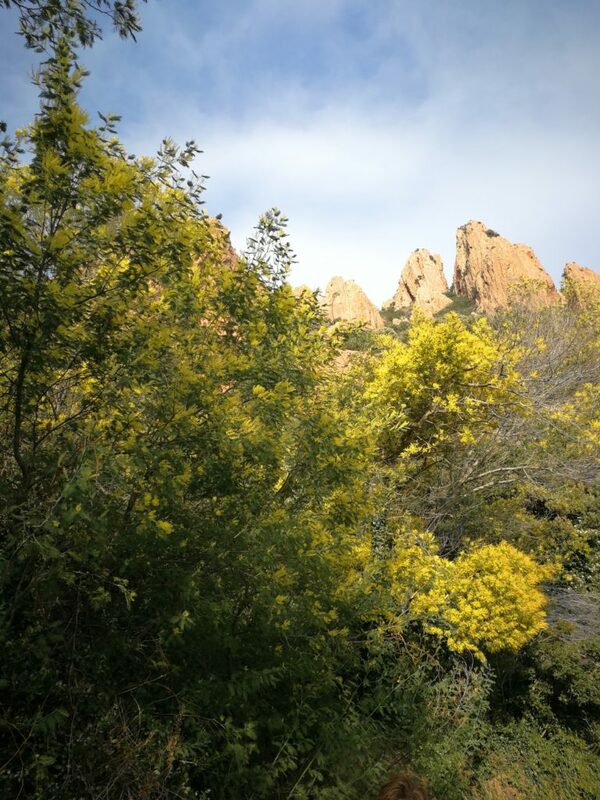 Right into the heart of winter, to be able to watch the mountains of the Haut Var up to the Riviera, filled,with thousands of yellow small bowls, is a wonderful exerience not to be missed. It’s just a fantastic sunstroke, such a magical moment. I invite you to follow me on the road of the mimosa and I hope that I will make you want to go for a week end. The start at Bormes-les Mimosas marks the departure of this lovely,sunny coloured mimosa road. This plant came to the Riviera around 1850, thanks to the british who loved so much this coast. In fact, it is of Australian origin. 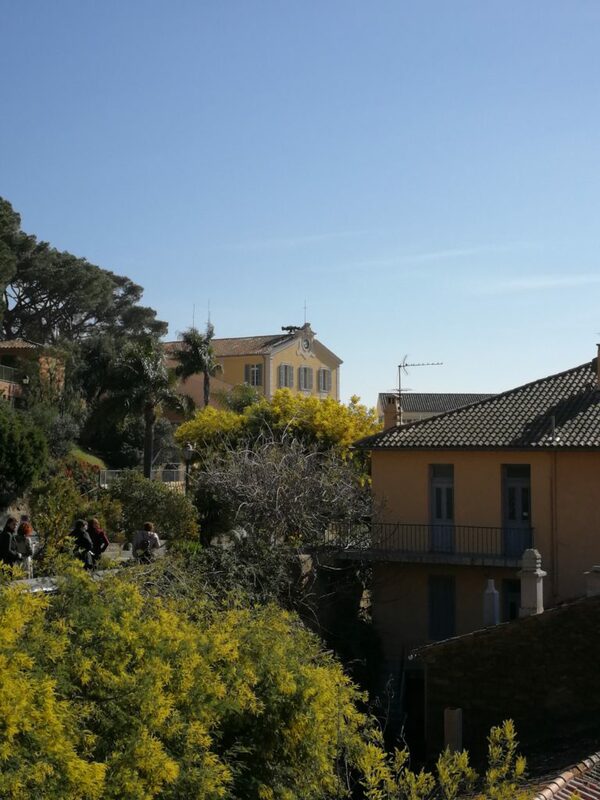 Yet, the mimosa is celebrated at Bormes-les-Mimosas since 1920, which is also the date of the first floral floats in this medieval village of the twelfth century. It takes an hour and a half to visit and to get lost among the charming back alleys. Not to mention that Bormes-les-Mimosas has received a label of Excellence, which a guarantee of quality. But the creation of the road of the Mimosa has been initiated by Valérie Collet, Head the Office of Tourism. To day, it is the twentieth birthday of the route of the Mimosa. It is a fantastic opportunity to explore the region of the Var and the Riviera, under the winter sun, in an more quiet way than in summer. Moreover, Bormes-les-Mimosas organizes, ever since 1996, Mimosalia, the not to be missed meeting of the amateurs and collectioners of plants. For the garden lovers, I recommend the visit at the Gonzales Park, along with the Cavatore Nurseries that are unique. 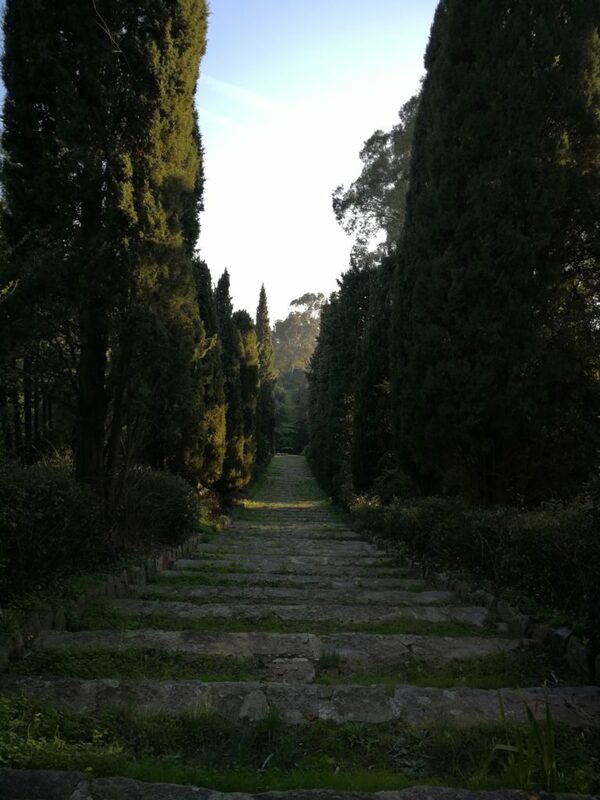 It is a unique European garden with Australian plants on 3000 square meters wide. In fact, this property has been donated to the town, in 1996, by Vivianne Grimminger and Carmen Martinez. It belonged before to the Spanish painter, Roberta Gonzales. In 1939 she married the famous abstract painter Hartung, whom she divorced in 1956. Her father Julio Gonzales was the pioner and initiator to Picasso for the iron sculpture. To day, the Bomes museum shows three paintings of Roberta. 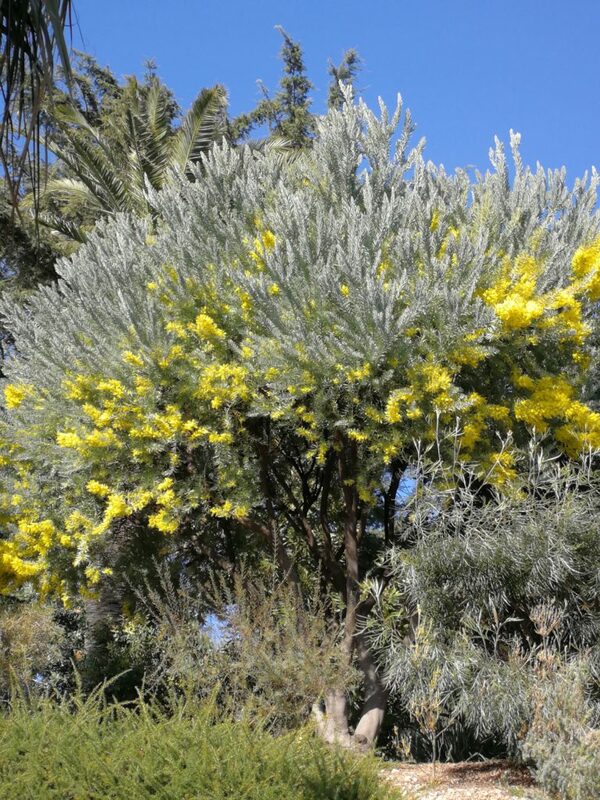 Gilles Augias designed this garden which consists in an exceptional collection of acacias, banksias, eucalyptus,grevillea and melaleuca… Moreover, it has been certified as a remarkable garden by the Minitry of Culture ! A guided visit is available on all the Tuesday of January till May- at 10 a.m 7 euros per person- The departure is from the Office of Tourism. If you are fond of mimosa,and you want to plant some in your garden… then he Cavatore nursery is the address you need. There you will meet true passionate men,who are mimosa lovers since two generations. The Cavatore familly is before anything else a grower as well as a mutiplier of mimosa, but by no means, a creator of different varieties of mimosa. Their adventure in the business started in 1981, with Gerard Cavatore. Today, he has passed on his passion to his son. 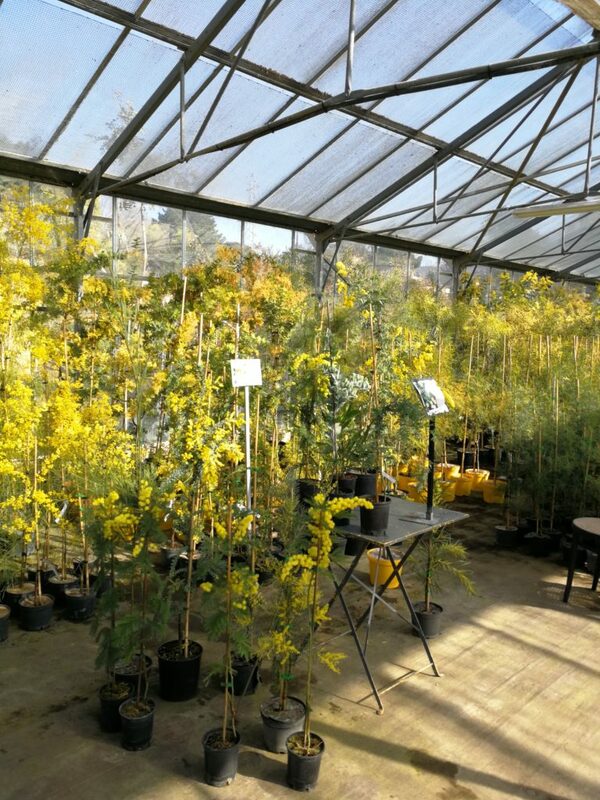 From a broad production of 20000 plants, Julien, his son sells his production of now 7000 plants to individual customers rather than to garden stores, by offering different and other varieties that the classic dealbata that invades the mass distribution. 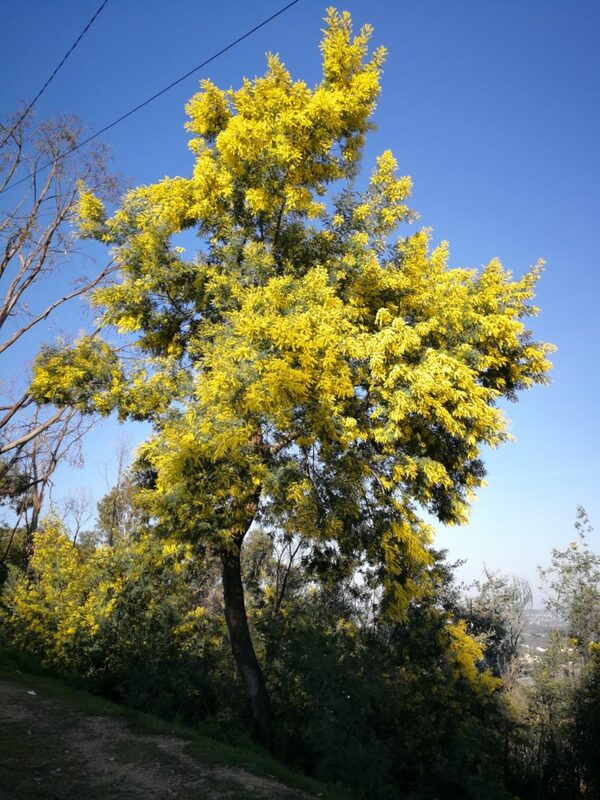 The choice of mimosas is large… besides the typical mimose delbata and the farnesiana, used in perfumery. To cite all the varieties of mimosasis is an impossible task as 1200 exist around the world, out of which a thousand come from Australia. Nevertheless, it will be at the Cavatore nursery that you will admire the largest variety. More, they welcome groups in order to pass on the story of the mimosa and their passion behind it. In the heart of the estate, the mimosa is naturally present in the Australian garden. It was clearly an evidence as it comes from there. Out of the 1200 varieties known in the world, the garden owns about thirthy. All come fromAustralia, Africa or America, with small little yellow fragrant balls… » The odyssey of the mimosas consists in a two hour walk hosted by a gardener. After,you will leave with a multitude of advises and you will be filled with many happy souvenirs from this superb garden. « The domain of the Rayol can be compared to a natural and spiritual territory « says Gilles Clement, the garden designer who renovated the site and conceived the concept of this planetary garden. In fact, the domain is 20 hectares large, out of which 7 have been designed into landscaped gardens. It’s just like an invitation to travel. A trip between nature and culture, a voyage into the heart of distant mediterrenean countries… One must admit that it is not easy to talk about this place, in just a few words. It is so magical with the diversity of the plants and it’s beauty. So, there are numerous programs concerning the visits the workshops and the training. Events are organized, all along the year. A halt at the coffee shop is recommended as everything is fresh and delicious. Avenue des Belges 83820 Rayol-Canade-sur-Mer Tel.04 98 04 44 00 On the cost road between the Lavandou and Saint Tropez. For fruther details, www.domainedurayol.org. The countryside is superb in the Esterel… The nature is wild with a bird’s eye view onto the sea. I suggest for more detail to get in touch with the Office of Tourism at Saint Raphael. The town of Grasse marks the end of the roadof the Mimosa. It’s the final in the capital of the perfume. A perfume of mimosa that one finds of course in the fragrances.Even though if it can be considered as a bit oldish it is still part of the perfumer’s palette. On my part, I appreciate it for its powdery and fluffy facet. It is a true invitation to let a sunray enter. For myself, Ilike it most in Majestic Wood, from the Harmonist, created by Guillaume Flavigny, perfumer at Givaudan. 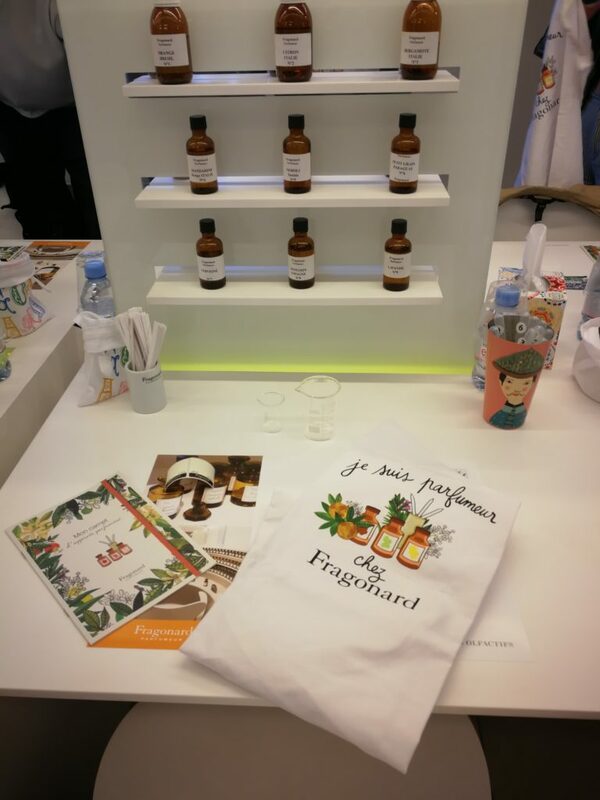 Even an Empire owned by the Costa family, today the three Costa sisters, who are Agnès,Françoise and Anne.After having admired the grand collection at the Fragonard Museum, I recommend to attend the wokshop to become an apprentice-perfumer. I experienced the adventure and love dit !So you will enter into the secret world of the creation of a perfume, during an hour and half. 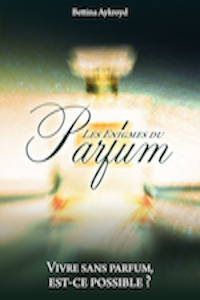 This workshop is short and dense so to allow you to understand the endless number of facets of a perfume, and more tosmell ans sart to magine accords with even a fragrance with which you take back !….